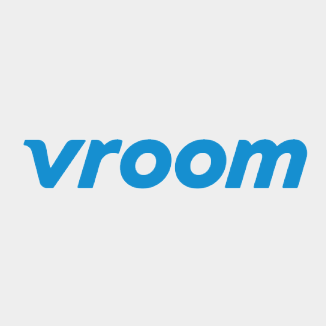 Vroom is an online auto retailer. Vroom.com is a venture-backed, fast-growing start-up focused on revolutionizing the car buying experience. Our approach is unique in that we recondition pre-owned vehicles to a high standard, sell online, & deliver anywhere across the US. We have experienced tremendous growth in our first 5 years of operation & have become a disruptive force in the automotive industry. Vroom is an exciting, accelerating workplace, & there's no better time to join the team than right now. Vroom is changing the way cars are bought & sold for customers across the US. Our approach is unique in that we recondition our vehicles to a very high quality & sell online across the US with free shipping & a 7-day money back guarantee. By providing great vehicles at incredible values, Vroom has experienced tremendous growth in the first 18-months of operation & has become a disruptive force in the automotive industry. We are building a team of experienced Data Engineers to ensure that our data infrastructure supports & helps drive the dramatic growth that we expect! We're looking for an exceptional data engineer to help us organize, test, & operationalize our data. Our business depends on putting the right data in front of the right people at the right time. As a Data Engineer in this dynamic environment, you will be instrumental in pulling data from multiple sources, performing extensive analysis, & applying a variety of data science models to provide our internal customers with recommendations & feedback.